How can you make your bookkeeping workflow smoother and faster? Simple. With this Missing Manual, you're in control: you get step-by-step instructions on how and when to use specific features, along with basic bookkeeping and accounting advice to guide you through the learning process. Discover new and improved features like the Insights dashboard and easy report commenting. 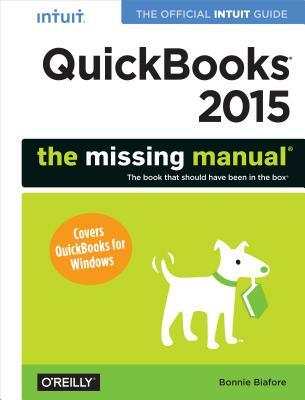 You'll soon see why this book is the Official Intuit Guide to QuickBooks 2015. Gain insights. Open a new dashboard that highlights your company's financial activity and status the moment you log in. Find key info. Use QuickBooks' Search and Find features, as well as the Vendor, Customer, Inventory, and Employee Centers.